Call me crazy but I see it as clear as day!!! 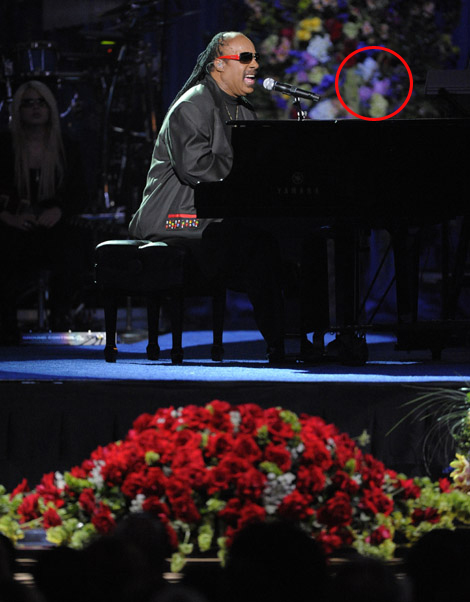 Look at the circle next to Stevie Wonder as he performed at The Michael Jackson Memorial at Staples Center and you can see the image of Michael Jackson face in the flowers. 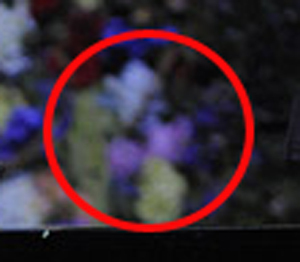 I know it kinda seems like a Virgin Mary sighting but here’s the image of the flowers close-up and MJ’s face from the cover of Thriller. 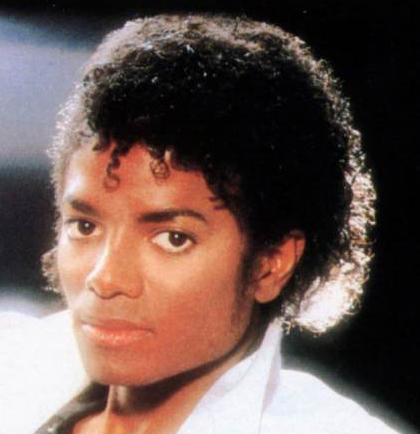 This was not photoshopped either. 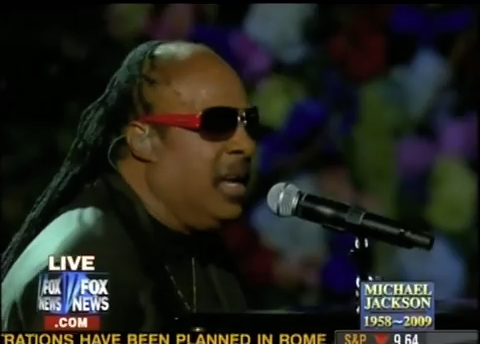 Here are two other captions from live feeds of the concert one from MSNBC and one from Fox News Channel. Am I imagining things or do you see it too? 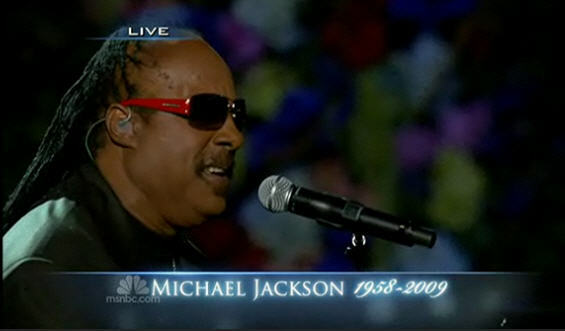 And before anyone makes any smart as comments, “No, Stevie did not see it”.